A first-of-a-kind component reached ITER on Friday 22 August—the pre-production cryopump (PPC) that is the culmination of an intensive research and development program in Europe and more than four years of fabrication. This fully useable pump is the precursor for eight more to come. Last week an exceptional piece of equipment reached the premises of the ITER Organization. In ITER, six cryopumps will be installed around the ITER vacuum vessel and two others in the cryostat. The main role of these massive pumps is to maintain ultra-high vacuum in the vacuum vessel and cryostat by trapping particles on their charcoal-coated panels, and to extract the helium ash from the fusion reaction along with the "unburned" deuterium and tritium nuclei. The pre-production cryopump is the keystone of a technical development program that has been underway for approximately 10 years, and that has served to validate design and manufacturing processes and address all technical issues. Technical Responsible Officer Matthias Dremel explains. "More than 15 high-technology companies in Europe were involved in its manufacturing, in close cooperation with the European Domestic Agency and specialists from the ITER Vacuum Section. The delivery signifies a great success for this collaboration." 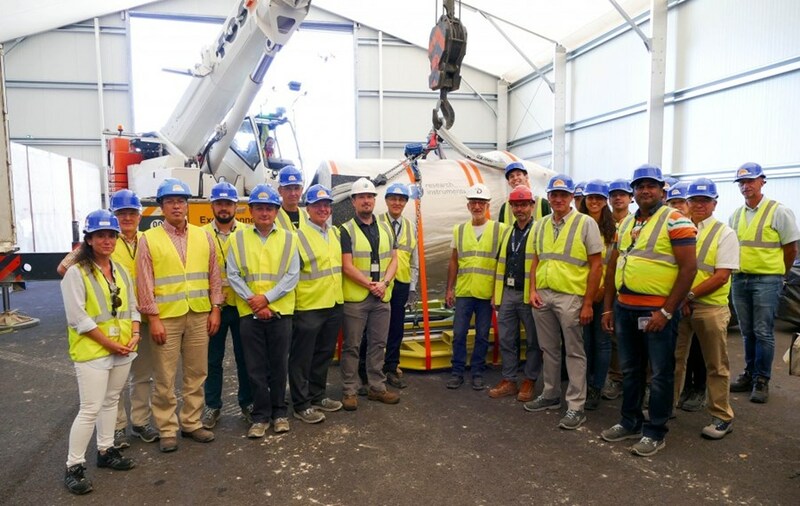 The 3.4-metre-tall, 8 tonne pump received on 22 August was built by a consortium formed by the German company Research Instruments and the French company Alsyom. 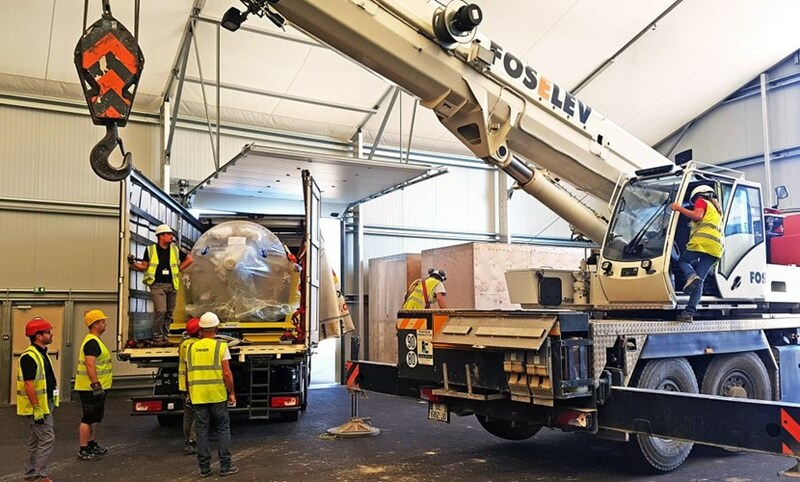 The component will now receive further instrumentation and undergo operational mechanical testing at ITER before it is shipped back to Germany—this time to the Karlsruhe Institute of Technology (KIT). ''We now have a fully useable pump, signifying that all issues have been solved,'' said Robert Pearce, Head of ITER's Vacuum Section (7th from left). At KIT, a cryogenic facility has been set up to mimic the ITER cryogenic supplies. Tests run there on the cryogenic pumping program will help to prepare the pump control systems in time for First Plasma and subsequent operational phases. "This delivery achieves an important ITER milestone," says Robert Pearce, Head of ITER's Vacuum Section. "This is the culmination of much innovative and challenging work collaboratively performed by the ITER team, the European Domestic Agency, European industry, and European associations. We now have a fully useable pump, signifying that all issues have been solved." With the successful completion of this first trial fabrication, work can begin on the next eight ITER cryopumps under the procurement responsibility of the European Domestic Agency. See the report published by the European Domestic Agency at this link. Click here to view a video of the delivery.